Recently a company known as Super Talent has announced 512 GB SSD for sale, the first massive storage compacted so far into small SSDs. And, this 512 GB SSD is priced at $1500, which is almost $3/GB as compared to 18 cents/GB in today's ubiquitous platter-based harddrives. And, another company OCZ has promised 4 Terabytes SSDs with a read performance of up to 600MB/ps by the end of this year 2009 which would totally break free all the limitations of today's harddrives. 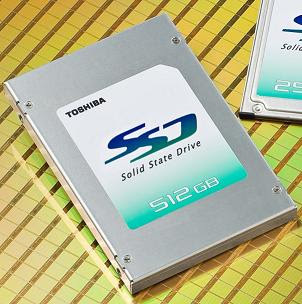 SSD's are the hard drives of future for sure.